By default, the proxy server feature of the Google Chrome™ browser is disabled. However, if it is enabled, this article will guide you on how to disable it. Click the icon located at the upper left corner of the Google Chrome window. Click Settings on the drop-down menu. Click the Show advanced settings… option. 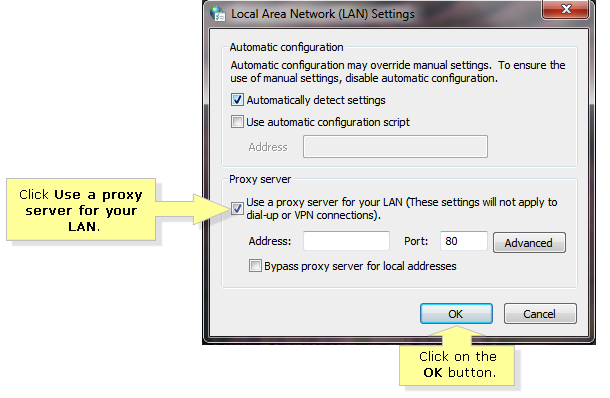 Under the Network category, click Change proxy settings tab. It will automatically bring you to the Connections tab of the Internet Properties window. 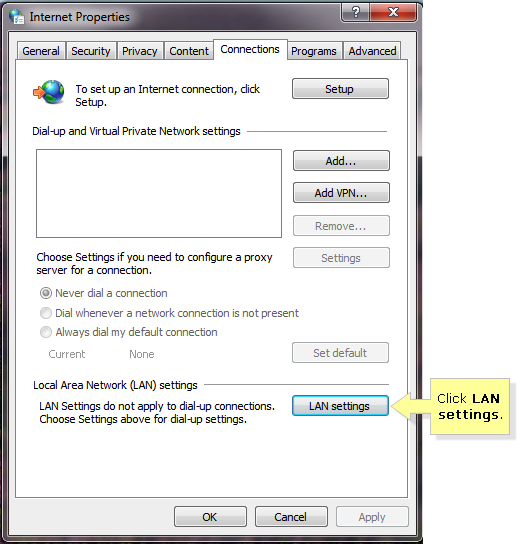 Click Use a proxy server for your LAN. Then click on OK to apply the changes. QUICK TIP: You only need to do these steps once as Google Chrome saves this setting. On the other hand, if you have other browsers that you use, you will have to disable the proxy server settings of those browsers, too.